Corel is to buy multimedia software company InterVideo for $196 million in cash. InterVideo produces video imaging and DVD authoring software that can be used with standard DVDs, and with the new HD-DVD and Blu-ray Disc formats. The move is the second acquisition this year for Corel, which bought popular compression software company WinZip in May. 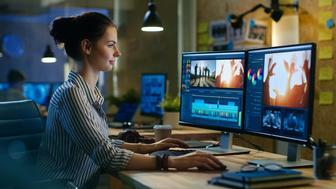 The company may be looking to expand its current line of products, including CorelDraw, Paint Shop Pro, and WordPerfect, into a greater number of video-based and multimedia offerings. Corel went public for a second time in April after being taken private in 2003, but is currently trading below its initial public offering price of about $16.